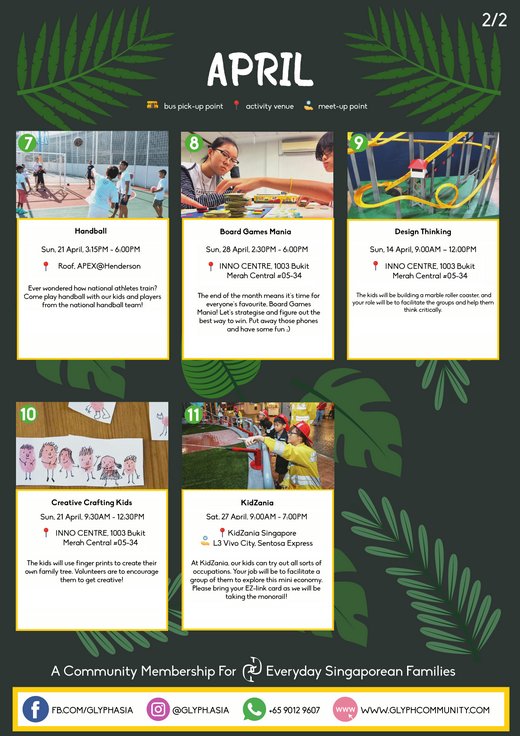 Glyph is a relatively young social enterprise that organises programmes for children and youths for everyday Singaporean families, and in particular, those from lower income backgrounds. The social enterprise is currently looking for those who are passionate to work with children. 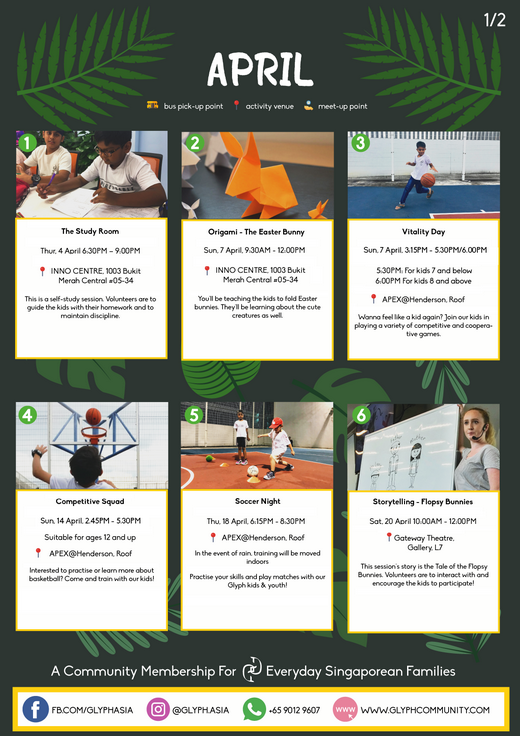 Here are some opportunities for you to interact with the children in the month of April. Do reach them at 90129607 via Whatsapp if you’re interested.